Categorical and Conditional Deduction and Induction of the Natural, Temporal, Extensional, and Logical Modalities. © Copyright Avi Sion, 1990. First published 1990, by Avi Sion in Vancouver Island, B.C., Canada. Revised edition published 1996, by Avi Sion in Geneva, Switzerland. Dedicated to my beloved Parents, z”l. Quoted from: Book of Prayers. Ed. and trans. David de Sola Pool. 2nd ed. New York: Union of Sephardic Congregations, 1986. 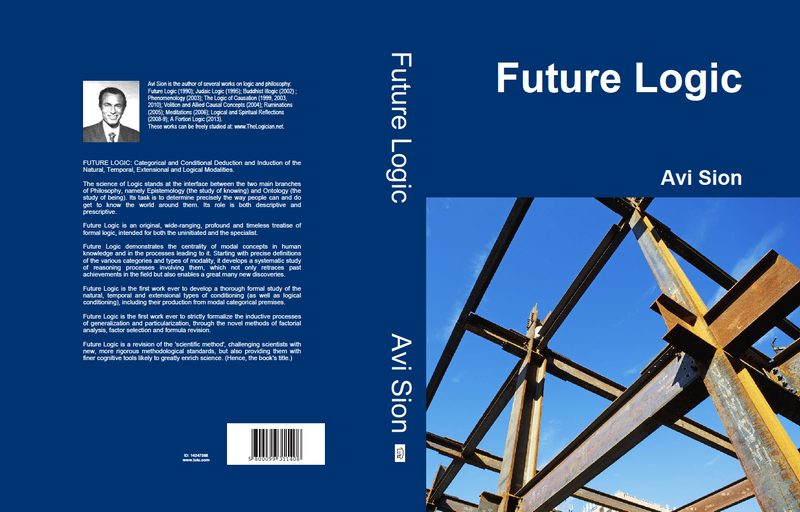 Future Logic is divided into 7 parts or 68 chapters (each of the chapters being split into on average 4 sections).